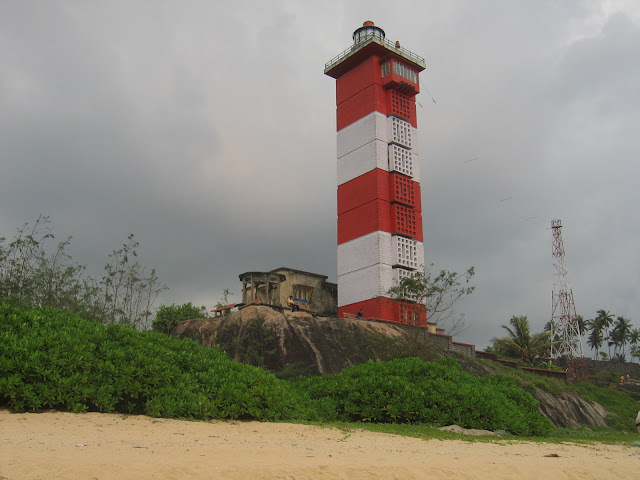 I had been to Surathkal last weekend. Surathkal, my hometown is about 16 kms from Mangalore while traveling towards Udupi. Vasanth and I have been friends since the age of 5; from first grade. While, I have moved to Bangalore for job, Vasanth is happily settled there and is teaching English and Social Science at a popular school near Udupi. When I go to Surathkal, I make it a point to meet Vasanth. A walk to the beach, remembering good old days of fun when we were kids, is now like a ritual being followed strictly. And we always try to do something exciting every time we meet. This time we thought of checking out the newly opened Café coffee day near Surathkal. If there was something new happening in and around Mangalore, we had to check it out. So we went hunting for the place. After some directions from the people near MRPL factory, we finally reached the café. First thing we both wondered was – “Why the hell do they have a coffee day at this remote place?” There were no colleges near by, neither is it a big city with such craze, but still the café stood there completely empty. Vasanth and I stepped in and the café owner was very delighted. We were probably the first customer he has had since he opened it. We had Choc chino and a Veg puff. It tasted good. And the price was considerably low, targeting the locals. Yesterday evening we planned to go to the Lighthouse, at the beach near our house. It was great to climb up the lighthouse and watch a spectacular view of the Arabian Sea and the adjacent green land without any tall buildings to steal the show. It was almost 10 years later that I was returning back here. It was sometime during the tenth standard holidays that my friend Som (Sowmya) & Vasanth had visited home. And we had made a trip to the lighthouse that evening. It was nice to closely observe the lens used to accomplish the concentration of light and the drive that enables the lens bed to revolve. During my previous visit as a child, I never cared to look at them. But things change as we grow up and we start appreciating various things in a different way. We then moved to our Private beach. To avoid crowd at the beach near the temple, we normally take a short cut near our house which leads us to a fairly less crowded beach and I have named it my private beach. It’s a great feeling to silently observe the sunset and the fading colors on the sky, near the sea shore. It was a magnificent display of light there, yesterday. Sun disappeared behind the clouds few hours before the sunset and the magnificent rays of light that emerged from behind the clouds were truly mesmerizing. I wished that I had taken my camera along with me, but anyway nothing can bring back that moment, that feeling, not even a photograph. It’s just a feeling that can be felt at that very moment. Hey, thanks a lot for dropping by! Yes, Mangalore is my native place, Have lived there for 21 years before I moved to Bangalore for job opportunities.